It never ceases to amaze me where medical history reveals itself, often in the most obscure places. We are constantly surrounded by it, in the tales of patients from generations past, in the textbooks that provide a teaching platform for our training, in the tell-tale ‘rusty instruments’ lying in the back cabinets of antique stores. All of which provide an enriching and humbling insight into the growth of medicine. It was only recently, on a seaside holiday that my partner stumbled across a book that would prove more interesting than initially anticipated. It was at the bottom recesses of the cabinet that “Doron Medicum” sat, in its old leather binding with only a faded title. Detected by my partner’s keen eye for Latin, it revealed itself to be the first edition book titled “Doron Medicum: OR, A Supplement to the New London Dispensatory”. Written by William Salmon, a self-proclaimed Professor of Physick, this book was published in 1683 by Dawks, Basset, Wright and Chiswell. Doron Medicum formulated a supplement to the Materia Medica (16th Century), discussing internal and external compound medicines of the late 17th Century. My initial literature review on William Salmon found many contemporaries defaming him as a “quack”. In a time when medicine was grossly unregulated, quacks were not hard to come by. However, my research shows that his literary success and participation in debate suggest Salmon was indeed a learned man and advocate, with a great understanding of the medical system of the 17th Century. Further research indicated that the historical events surrounding this book were equally as fascinating as the content. During the 17th Century, medicine was experimental and prescribed treatments were often obscure and poorly regulated. 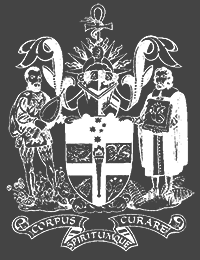 At a time in London’s history when medicine was grossly ungoverned, great competition existed between the College of Physicians and The Worshipful Society of Apothecaries. During the Great Plague in London (1665-1666), a large majority of the poor demographic were affected. The poor could not afford treatment from physicians, many of whom are said to have fled London, and apothecaries provided a large contribution of their care. Decades later, a series of debates in the name of public health surrounded the opening of the first London Dispensary for the Poor in 1698. William Salmon found himself amidst the colourful discussion. In addition to the rich history of this era, the content of this book provides interesting reading. The opiology chapter highlights the extensive knowledge of various poppies, extraction techniques, methods of compounding and dose-response theories. This confirms that pain management and early analgesia were well established. Laudanum (tincture of opium) was used extensively. Notable and obscure treatments include that for the affects of the heart, which consisted of laudanum, syrup of limons, waters of cinnamon, roses, water lilies, borage, confection of alkermes, tincture of coral and the salt of pearls. “Laudanum stomach pills shall be taken going to sleep, cheers and revives the heart, prevalent against the colic”. Man’s skull crushed into a powder makes a recurrent appearance. The book documents taking skulls of men killed in a violent death, beating them into small pieces and placing them into a furnace of reverberation. Documentation states it to be the “most admirable thing in the falling sickness, palsy, convulsion and fits of the mother”. Treatment of vertigo included laudanum, the oil of man’s skull, magestery of coral and unicorns horn. 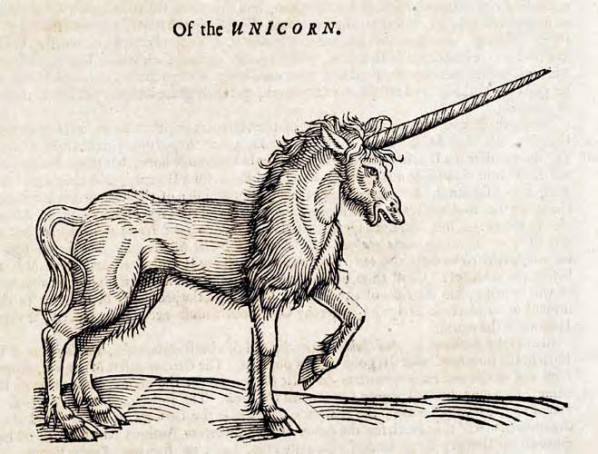 Now known as a mythical creature and widely featured in children’s stories and movies, the unicorn and its horns, were thought to have healing powers and antidote properties in the 17th Century. Such healing powers have been dispelled and the unicorn was subsequently acknowledged to be the narwhal. 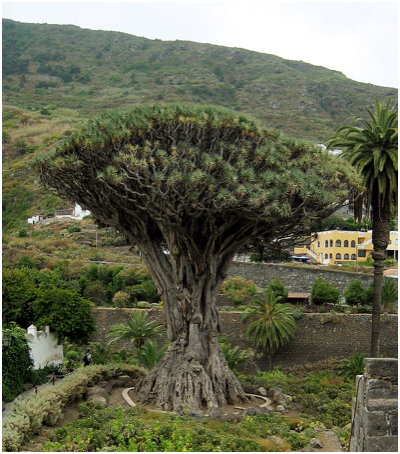 The essence of dragons blood, a bright red acrylic-like substance obtained from Dracaena Drago tree sap, was recommended for the treatment of haemorrhage, haemorrhoids and bloody excretion. This was mixed with laudanum of course, creating a thick red substance providing a visual parallel to blood. Alcohol was incorporated into the recommended treatment of liver failure! Mercury appeared widely, and blood obtained from healthy men was used in many oral remedies. However, such blood was oddly only to be obtained from ‘men not having red hair’. “Blood taken from a healthy young male, not having red hair, will cure the falling sickness even of elderly men, all diseases of the brain and nerves, purify the whole mass of blood, radically destroy the scurvy, make the blood fluid and help its circulation”. Of particular interest is an entire section relating to animal preparations and treatments. Frogs cut into pieces and instilled were used for gout, internal pains of the reins, ureters and bladder. It was also recommend for hair growth and used as a treatment for gonorrhoea. Bees calcined and reduced to a powder were combined with the oil of nuts for hair growth assistance. The content of this book and its rich history has proven to be fascinating, insightful and at times quite bizarre, highlighting the advancements in medicine over the last few centuries. It also echoes the humbling truth that although we feel advanced in our current medical practice, it is likely that our colleagues in centuries to come will look back at our practice with the same sentiment. 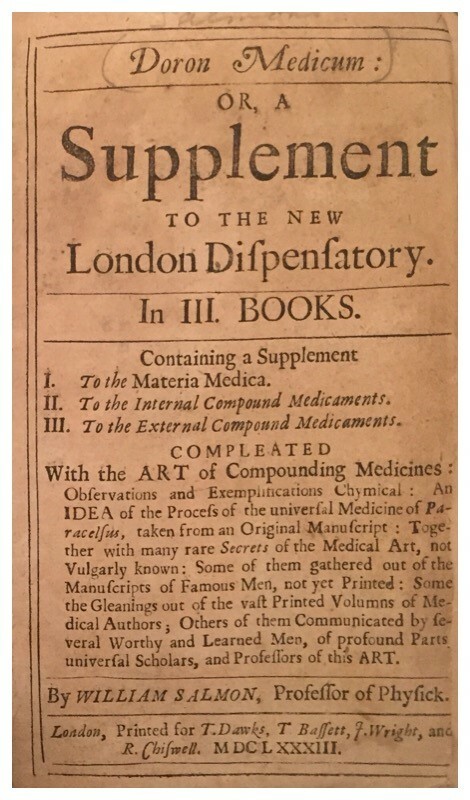 Image 1: Title Page – “Doron Medicum: OR, A Supplement to the New London Dispensatory” by William Salmon. 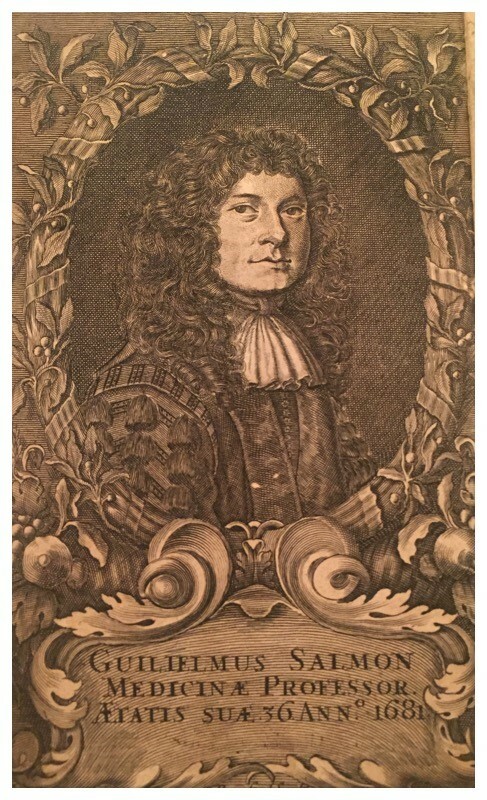 Image 2: Portrait engraving William Salmon – “Doron Medicum: OR, A Supplement to the New London Dispensatory”. Image 4: Dracaena Drago. Courtesy of Wikipedia. 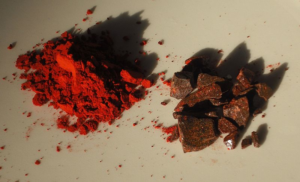 Image 5: Dragons Blood (Daemomorops draco) crushed incense and ground apothecary’s or pigment grade. Courtesy of Wikipedia.